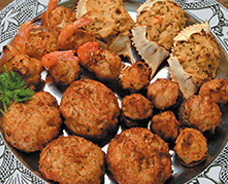 Create your own custom sized crab cakes, crab balls, stuffed entrees and MORE with this delicious blend of crabmeat, spices, and seasonings. 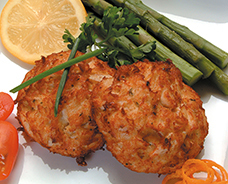 A succulent variety of spices and seasoning blended with crabmeat to make a superior quality crab cake great for all occasions. Available in 4 oz. and 3 oz. portions. 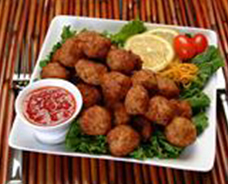 The same delicious flavor and superior quality as our crab cakes in bite-sized portions. Available in 1 oz. Gourmet and 1/2 oz. Deluxe portions. Click here to view more information, including nutritional information, packaging & more!